​We are the local source of quality dog training in the San Luis Obispo area, with a simple goal in the services we deliver, to give pet owners the peace of mind that comes with an obedient dog. Whether you need puppy training to set a foundation, or boot camp to tighten up training, you can depend on our experts to bring you a service you can count on. We provide caring and attentive training that will give your dog the best chances. We provide the city a wide variety of dog training methods, from e-collar training to crate training and more. With various dog training tools at hand, we have the capability to get to a level of comfort and compliance between you and your dog, providing a foundation that you can depend on to provide years of well-behaved experiences. No matter the goal you have in mind, or the areas of focus you wish to bring attention to, you can rely on the years of experience, and the caring nature that we bring to all of our dog training methods. Residents across the San Luis Obispo area can benefit from our dog training and boarding service as we bring you the means not only to ensure that your dog is well taken care of, but also that the time apart is used in a productive manner. We provide one-on-one training consultations prior to your departure if that’s the wish you have, or can have your dog taking part in group exercises and training for a more social experience. We aim to have your dog enjoying its vacation just as much as you’re enjoying yours, and gaining new skills along the way. Our dog training boot camp is aimed at giving San Luis Obispo area dogs the foundational training needed to get the basics down, and to set the tone for what will eventually become a lifetime of learning enjoyment. 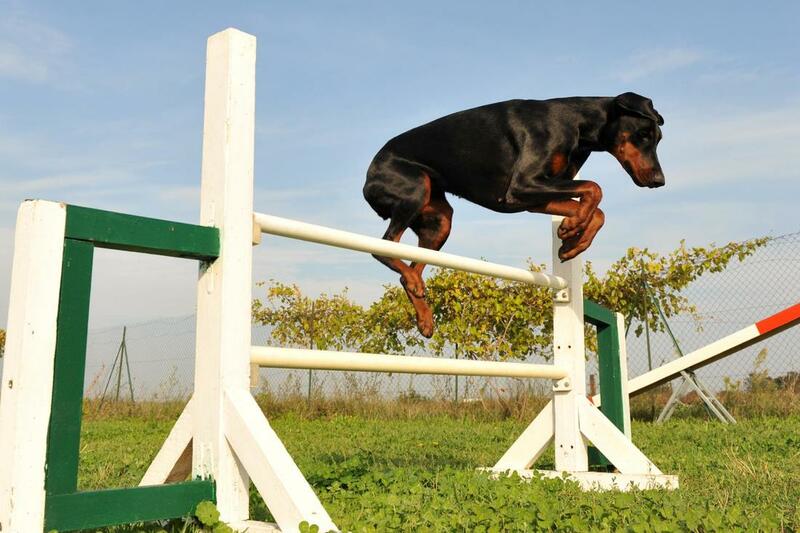 When choosing SLO Dog Training for your basic dog training needs, you can depend on a caring and attentive service that will give your dog the necessary first steps needed to have the foundation covered, and the means to pay attention, follow basic commands, and give you the feeling of control you need when it comes to your dog’s behavior. Whether coming from a troubled prior home, having lived most of their lives in a shelter, or experiencing other troubles, some San Luis Obispo area dog owners may be dealing with a dog that has special requirements in their training. If this describes your situation, you can be sure that SLO Dog Training has the attentive and caring solutions to have your dog once again enjoying what it is to be stress-free and enjoying the company of other humans and dogs. Whether you need a one-on-one dog training consultation, or to find out more about the services we offer, you can feel free to call at any time.